Eric Chalfant reviews Blackford and Schüklenk’s 50 Voices of Disbelief (2009), and notes that, although intended for a lay audience, the plurality of personal narratives and experiences recounted by contributors to the book serves as a reminder to academic researchers that atheists constitute a varied demographic with ‘complicated stories and multifaceted self-understandings’. The cover of 50 Voices of Disbelief: Why We Are Atheists depicts a candle that has just been blown out, the smoke wafting from a dead wick. At first glance, this might seem to reflect a certain kind of negativity prevalent in treatments of deconversion, the transition from religion to atheism. We frequently hear terms like ‘loss of faith’ used to imply that the movement away from religion is one of subtraction – the peeling away of religious affiliation to something more fundamental, neutral, and untouched by processes of acculturation. This understanding of deconversion tends to lose sight of the active and creative processes involved in identity-formation. Atheism, contrary to the claims of many religionists and atheists alike, is not a purely natural state given prior to the contamination of religious ideology; it is a subject position achieved in lived experience and discourse – it is actively constructed, formed, and negotiated. While Blackford and Schüklenk’s volume appears decidedly intended for a lay audience, then, it does contain a valuable lesson for social scientists in that it demonstrates the irreducible plurality of means by which atheists fashion their identities. The contributions come from fields as diverse as academia, politics, industry, and science, and range in form from autobiographical narratives to highly impersonal philosophical syllogisms. As a collection of disparate and very brief narratives, the volume enacts a departure from attempts to construct a manifesto of atheist epistemology, providing instead a sampler of atheist voices with which various would-be-atheists could identify. In recent years, the public face of atheism has been marred by accusations of homogeneity, both intellectually and demographically. Atheism has been seen by many as a white man’s game, reacting almost exclusively to Western Evangelical Christianity. Following 2011’s ‘Elevatorgate,’ a highly-visible controversy erupting around accusations of sexism within the atheist community, public atheism faced an embarrassing inability to productively address issues of inclusion despite paying constant lip-service to tolerance and consciousness-raising. Public atheism has similarly faced issues of racial exclusion, Islamophobia, and classism. As a book concerned primarily with presenting a more diverse public face for atheism, this volume is certainly a step in the right direction. Intellectually, a tendency toward redundancy and consensus around the importance of scientific literacy and the question of theodicy is balanced by potential for serious disagreement among contributors concerning the role of religion and the potential justifications for atheism. And the justifications for atheism range from rigid scientific and logically-positivist proofs of God’s nonexistence to Bakuninesque ethical refusals of the terms of religion independent of the question of God’s existence. Demographically, the diversity is a bit more sparse but nonetheless noteworthy. Of the 52 contributors, 13 are women. A number of contributors address issues of sexism and homophobia within religion (though notably not within the atheist community). While the majority of contributors come from nonreligious or Christian backgrounds, there are post-Jewish, post-Muslim, and post-Hindu representatives from the West and East. Thus, while the volume is obviously geared toward lay readers and resists social-scientific analysis, there is a takeaway for scholars with an academic interest in deconversion and atheism. That takeaway seems to be primarily a reminder that atheism must be understood as an autobiographical and interpersonal subject-position at the same time that it is understood as an epistemology. Atheism is not merely an abstract intellectual position hovering in the atmosphere. Much less is it a negative substrate underlying religious identification. Rather, atheism is a complex and heterogeneous network of atheists – people with complicated stories and multifaceted self-understandings. Blackford and Schüklenk’s volume provides a mere snapshot – albeit an important one – of the centripetal and centrifugal forces within the atheist community, where atheists cultivate a simultaneous sense of collective identity and radical individualism. As public atheism seems increasingly poised to seize onto a kind of minoritarian and potentially-reductive identity-politics, a volume like this is invaluable in keeping sight of the radical diversity of living atheists. Blackford, R. and Schüklenk, U. (2009). 50 voices of disbelief. 1st ed. Chichester, West Sussex, U.K.: Wiley-Blackwell. 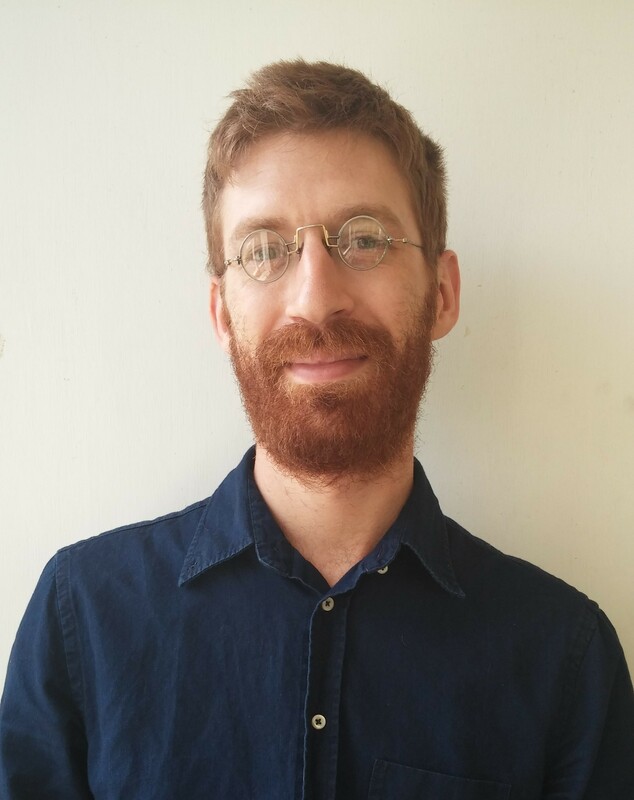 Eric Chalfant is a doctoral student in the Religion and Modernity track of Duke University’s Religious Studies PhD Program, where he works on the history of atheism, deconversion narratives, and American secularism. His dissertation is a genealogy of atheist and irreligious media practices in American history since the Civil War, tracing the legacy of those practices for contemporary accounts of deconversion on the internet. This entry was posted in NSRN Blog, Review and tagged 50 Voices of Disbelief, Atheism, book review, deconversion, Eric Chalfant, nonreligion. Bookmark the permalink.